Although renowned for offering well-built, practical motoring for the masses (a description as relevant to the original Beetle as it is to the latest Golf), Volkswagen has also managed to appeal to the enthusiastic driver over the years – and not just via its GTi-badged hatchbacks. Although the GTi version of the original Golf was unveiled in 1975, it didn’t go on sale in the UK for another two years, and then only in left-hand drive form. British enthusiasts had to wait until 1979 for a RHD GTi, but the wait was worthwhile. No other hatchback handled as sharply, yet the Golf also offered practicality and reliability. 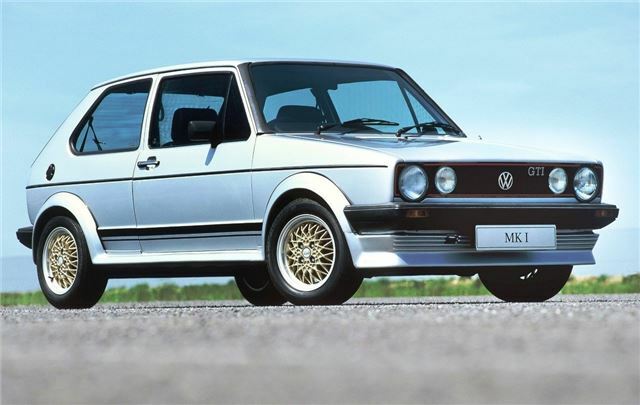 Early MkI GTIs came with 1.6-litre fuel-injected power, enlarged to 1.8 litres for the early ’80s. Output ended up at a very respectable 112bhp, enough to propel the fairly lightweight MkI Golf at anything up to 113mph.